"Progressive educators have always been better at critique than at possibility. This book promises not to ignore critique, but to favor possibility. It is most rare and greatly welcomed." "The editor argues that in a material world, depicted by consumerism, spiritual nihilism and conspicuous consumption, there is need to offer a new vision and direction in education that would promote a more harmonious, holistic values-oriented schooling that transforms persons into moral beings, who care for others…. In terms of innovative ideas and approaches to pedagogy and theorizing about schooling, this volume is at the top of pedagogical discourses and thinking." 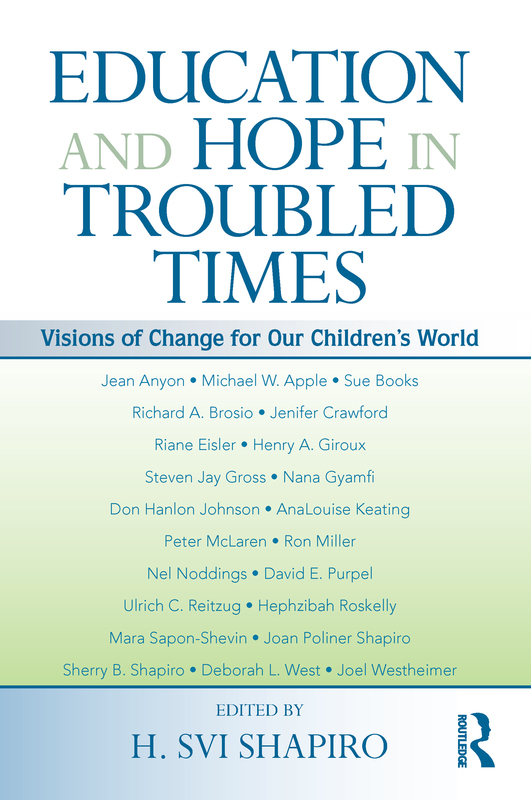 Education and Hope in Troubled Times brings together a group of the best and most creative educational thinkers to reflect on the purpose and future of public education. These original essays by leading social and educational commentators in North America attempt to articulate a new vision for education, especially public education, and begin to set an alternative direction. This is a time of crisis, but also of renewed possibility—one that offers the opportunity to radically reconsider what is the meaning of education for a generation that will bear the brunt of grappling with the extraordinary dangers and challenges we confront today. At its core this volume questions what will it mean to be an educated human being in the 21st century compelled to confront and address so much that threatens the very basis of a decent and hopeful human existence. Carrying forward a project of redefining and reshaping public discourse on education in the U.S., it is a critical catalyst and focus for re-thinking public policy on education. Is There a Place for Education in Social Transformation? Capitalism’s Continuing Attempts to Dominate Civil Society, Culture and Schools: What Should Be Done?